This past week was “Not x86 Week” over at r/Retrobattlestations and I decided to stand the HP-9000 712/100 “Gecko” RISC workstation out front for my entry. I happened upon a boot sale one weekend back in 2003 and spotted an HP-9000 712/60 in a stack of Sun workstations in the back of a truck. I had always wanted to play around with a Gecko, knowing of the unique video hardware onboard from a system review I read in NeXTWorld magazine years earlier, so I bought it — for just $20. Getting it home, I pulled out my NEXTSTEP 3.3 CDs and got it up and running in no time. Its video output, and the manner in which it generates it, is pretty amazing. Not too long ago, I found an HP-9000 712/100 motherboard on eBay for a reasonable price and replaced the 712/60’s board with it, upgrading it from a PA-7100LC CPU running at 60MHz with 64K of L1 cache to a 100MHz unit with 256K of L1 cache. NEXTSTEP really flies on this system, as does HP-UX, which I recently installed on an external drive to allow dual-booting. I consider the HP Gecko to be the most interesting NEXTSTEP-compatible system out there, and it’s certainly one of the most prized systems in my collection. 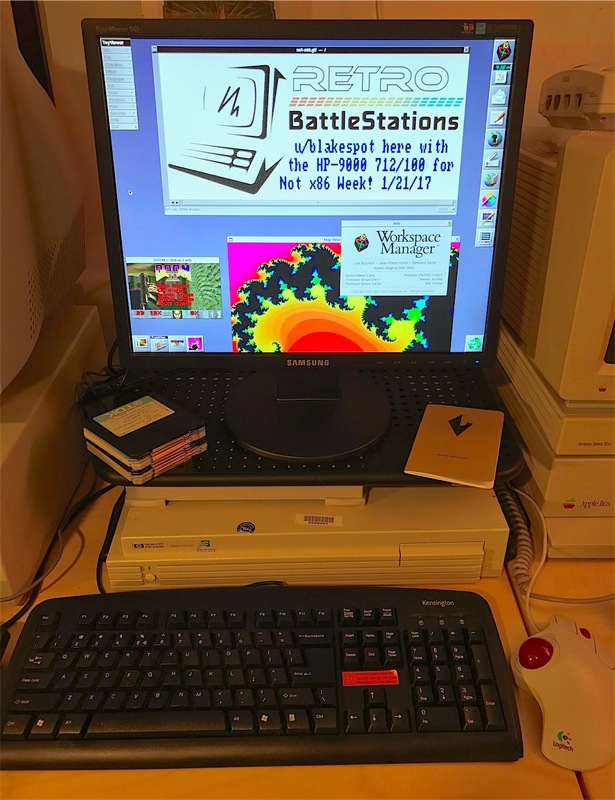 This entry was posted in HP, NeXT, r/Retrobattlestations, UNIX. Bookmark the permalink.